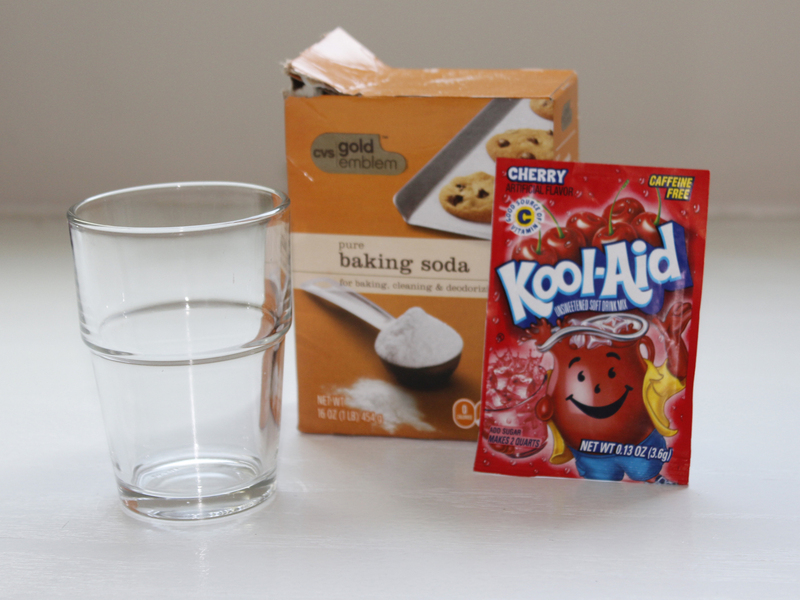 Several weeks ago, I posted a few project ideas for that strangely bewitching chemical tonic called Kool-Aid. As my friend Peggy explained to her uninitiated daughter: “Kool-Aid is a hair dye that people drink sometimes.” Cheers to that. There were supposed to be a bunch of other fabulous projects included in this post, which I will explain in my sob story at the end. On to the successful projects! If you read our post about Cabbage Juice Chemistry, you already know that it can be fun to play around with acids and bases. 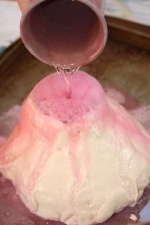 The classic case: mixing baking soda and vinegar to get your volcano model to erupt. From Craftcaravan.com. Salt dough is ok, but I highly recommend using plaster cloth instead! See our post about how to use it. Here are instructions for ye olde science fair staple. Don’t get me wrong–it’s fun–but vinegar gives my kids the heebie jeebies. Wouldn’t it be nice to use something else to ensure that your project smells delightful? 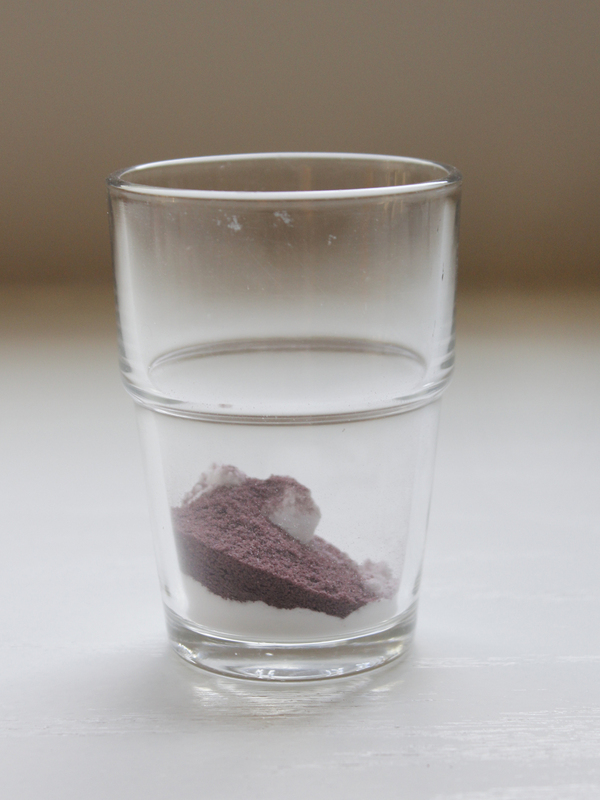 Well…guess what else is very, very acidic, and reacts well with baking soda? 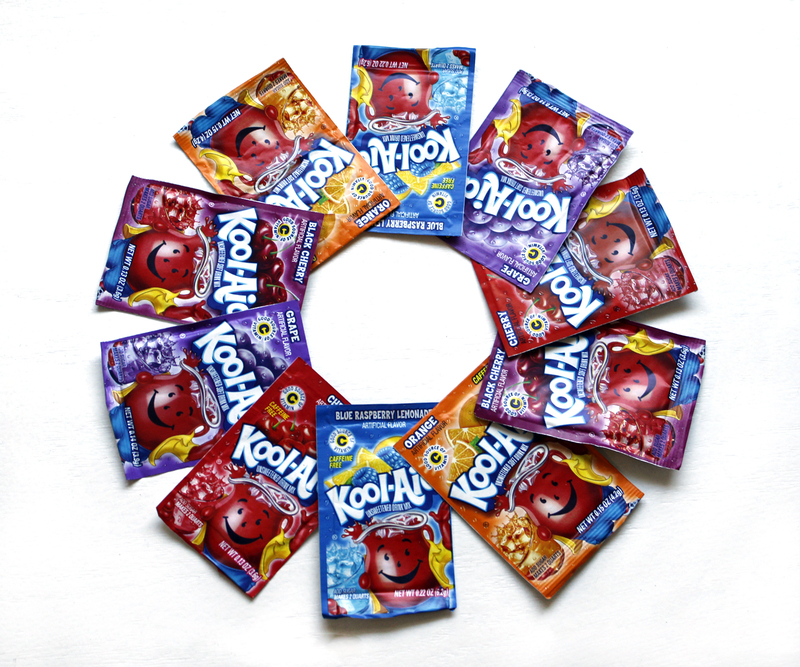 Kool-Aid. Cherry is nice, if you want it to look like a lava flow. I added a little Black Cherry to the mix, which made it look a lot like blood. A LOT. Surely that will come in handy this Halloween. Obviously, this is before I stirred them together. 1. 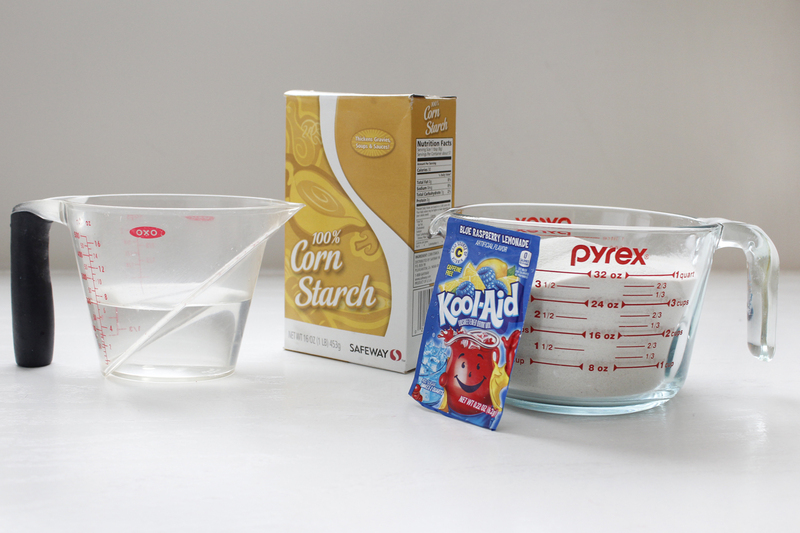 Combine a heaping tablespoon of baking soda and one packet of unsweetened Kool-Aid. 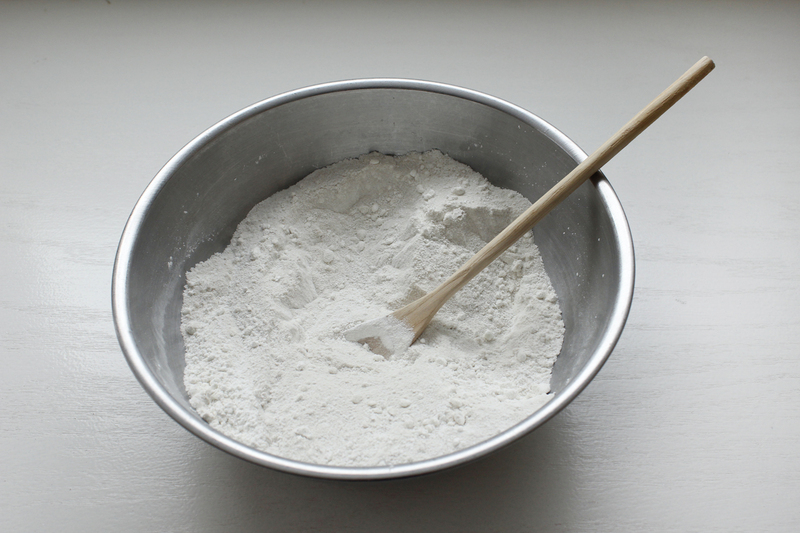 Mix these dry ingredients thoroughly and put them into whatever needs to erupt. I’m just using a boring glass since we don’t have any spare volcano models lying around at the moment. 2. Add a little water. I added about an 1/8 cup. Maybe don’t do this on a white work surface. Right after this photo was taken, it spewed onto the table and spattered the wall. 3. Enjoy. Don’t forget to inhale. 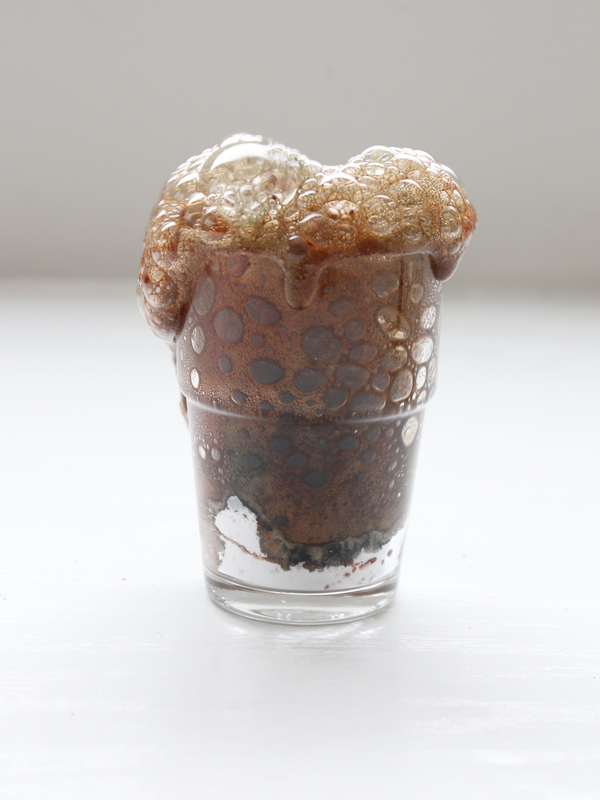 I found this moon sand recipe on Growing a Jeweled Rose. I wish I’d known about it back when my kids were tots. Moon sand can amuse little people for hours, but it costs an arm and a leg for a cup of the stuff. 4 cups play sand. I wasn’t so worried about my kids eating this, and since it is moist I wasn’t worried about inhaling the dust, so I used plain old sand. 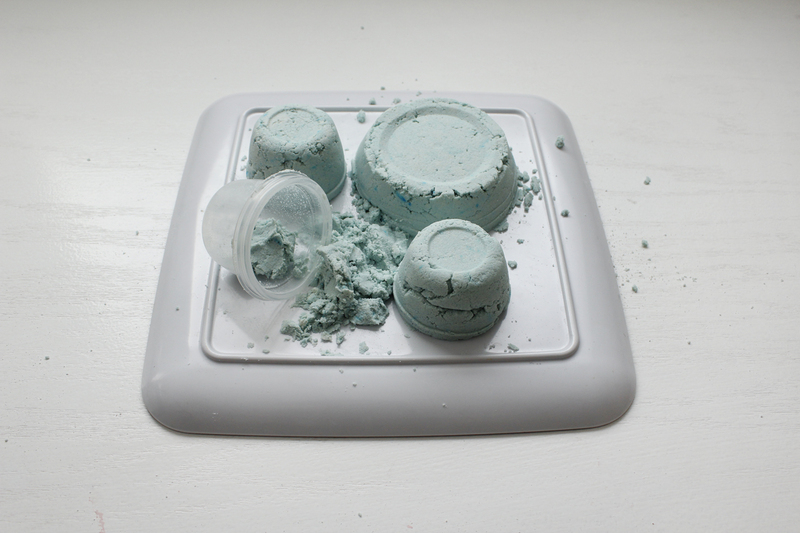 If your kid eats everything, you may wish to look for a silica-free variety. 1. Mix the dry ingredients thoroughly. 2. Add water, a little at a time, and mix completely. I soon gave up on the spoon and used my hands. It’s more fun that way, anyway. What you want: a moist mixture that clumps easily and holds shapes. 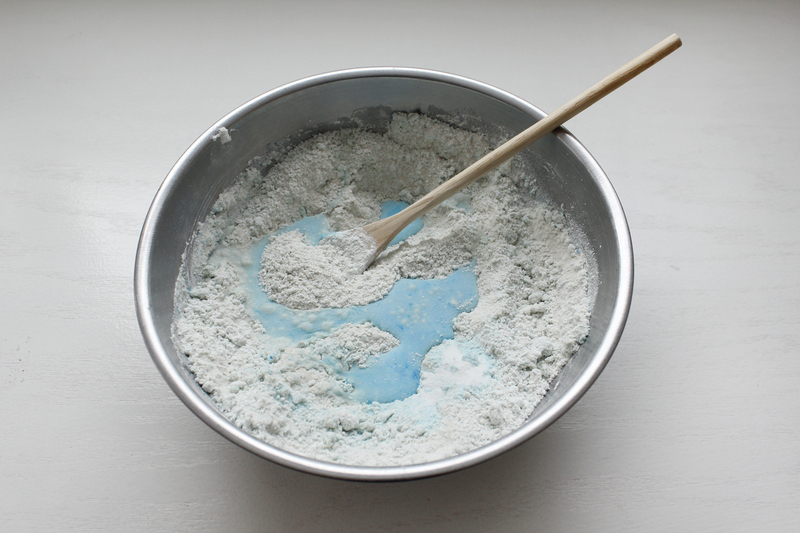 If it gets too wet, just add a bit more sand and corn starch. It took me an entire cup of water to get the right consistency, but that will vary depending on the sand you use. 3. Play! Store in an airtight container. In other news, my attempts to make Kool-Aid Lip Gloss resulted in an epic fail. The Kool-Aid refused to dissolve into the melted Vasoline. I’ll keep working on that. And in the near future, I’ll try out Kool-Aid Frosting. It’s orange frosting season, people. Next Next post: BLAST FROM THE PAST: Halloween!